From turning an idea into a business and learning how to collaborate with others to prototyping a unique product, this year’s Innovate SCV campaign focuses on inspiring doers and self-starters from all backgrounds. Innovate SCV is an annual series of events, hosted by the city of Santa Clarita Business Incubator in partnership with the Santa Clarita Valley Economic Development Corporation, the Los Angeles County Economic Development Corporation, the Small Business Development Center, and College of the Canyons, to highlight entrepreneurship and the importance of innovation in today’s global economy. On Tuesday, November 14, from 6:30 to 8:30 p.m., the Startup Grind Santa Clarita Chapter, powered by Google for Entrepreneurs, will host an event featuring Rahul Sonnad, co-founder and CEO of Tesloop. Sonnad will speak on his illustrious career, various ventures that include selling a company for $100 million and his latest undertaking to revolutionize the transportation sector. On Wednesday, November 15, the Steamwork Center will host 1 Million Cups Santa Clarita. Developed by the Kauffmann Foundation, this newest entrepreneurial meetup for the Santa Clarita Valley is based on the idea that entrepreneurs can discover creative solutions and expand their network over a million cups of coffee. This free event is designed to educate, engage, and connect entrepreneurs to their local community. 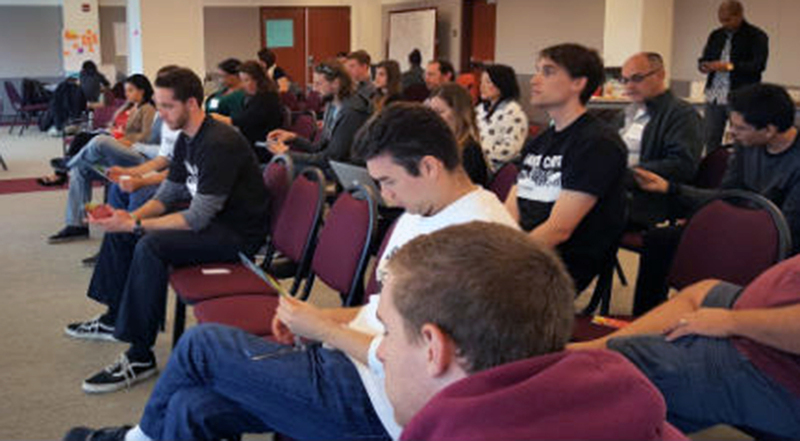 Innovate SCV will culminate with the exciting Startup Weekend SCV. Held from November 17 to 19, 2017, this unique opportunity teams up developers, designers, marketers and businesspeople with the goal of building a startup in just 54 hours. This event includes meals, opportunities to network, a keynote speaker, team building, coaching, customer development and rapid-fire startup pitches. Startup Weekend activities finish with a Shark Tank-style judging session. Innovate SCV is part of Innovate LA, a countywide celebration of innovation and creativity throughout the region. Led by the Los Angeles County Economic Development Corporation, this effort aims to support and inspire entrepreneurs across all sectors. For more information about the Santa Clarita Business Incubator and the listed events, visit ThinkSantaClarita.com. To find out more about Innovate LA, visit Innovate.LA or LAedc.org/InLA.